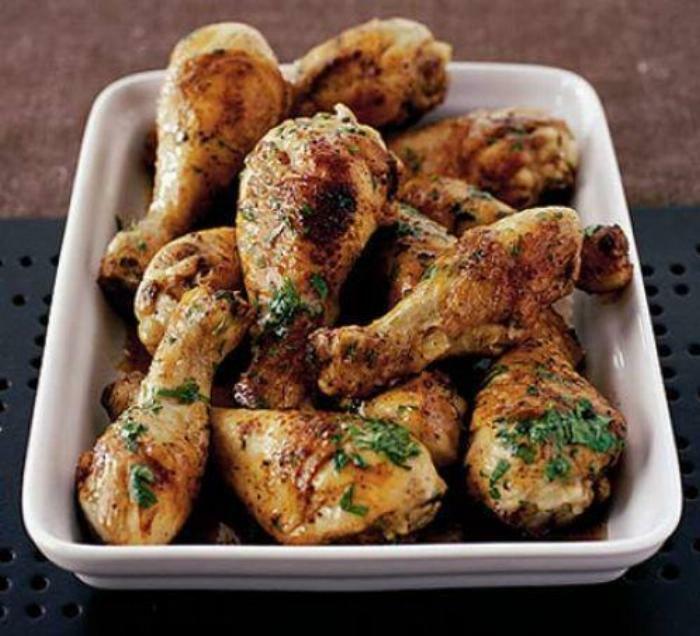 Place the chicken drumsticks in a large freezer bag, and add the buttermilk and 1/4 cup of oil . Add the bruised garlic cloves to the bag with the crushed peppercorn and salt. Sprinkle in the ground cumin and finally add the maple syrup, and then squish everything in the freezer bag around to mix the marinade and coat the chicken. Leave the buttermilk-marinade chicken in the fridge ideally overnig. . .
1Place the chicken drumsticks in a large freezer bag, and add the buttermilk and 1/4 cup of oil . 2Add the bruised garlic cloves to the bag with the crushed peppercorn and salt. 3Sprinkle in the ground cumin and finally add the maple syrup, and then squish everything in the freezer bag around to mix the marinade and coat the chicken. 4Leave the buttermilk-marinade chicken in the fridge ideally overnight or out of the fridge for at least 30 minutes and up to 1 hour. 5Preheat the oven to 425*F. Take the chicken pieces out of the bag, shaking off the excess marinade, and then arrange them in a roasting pan lined with aluminium foil. 6Drizzle over the 2 remaining tablespoons of oil, and then roast in the oven for about 30 minutes, or until brown, even scorched in parts, and juicily cooked through.